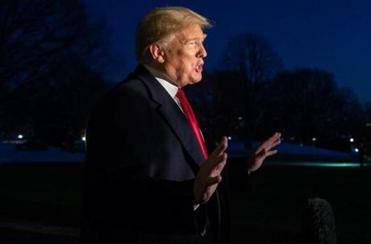 President Trump departed after speaking about the partial government shutdown at the White House over the weekend. WASHINGTON (AP) — Senate leaders reached an agreement on Tuesday to vote this week on two competing proposals to end the government shutdown, including President Donald Trump’s plan to have Congress pay for the long-stalled wall along the U.S.-Mexico border that’s likely to fail. 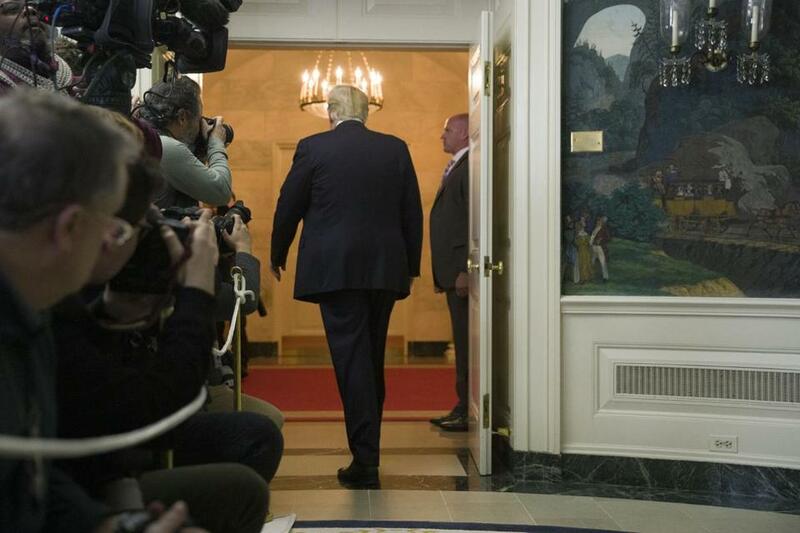 Senate Democratic leader Chuck Schumer predicted Trump’s proposal ‘‘will be roundly defeated.’’ But the Democratic bill, which already passed in the House, ‘‘could break us out of the morass we are in,’’ he said. ‘‘If you’re looking for a way to open up the government, this is the way,’’ the New York senator said. Senate Republicans pressed ahead Tuesday with Trump’s plan to reopen the government, finance his wall and provide some deportation protections for ‘‘Dreamer’’ immigrants. Democrats, though, panned Trump’s proposal and said the immigrant protections are inadequate — only offering temporary deportation relief that Trump helped cause by announcing an end to the Deferred Action for Childhood Arrivals program protecting young ‘‘Dreamer’’ immigrants. ‘‘The proposal outlined by President Trump that we will consider here in the Senate is the only proposal, the only one currently before us, that can be signed by the president and immediately reopen the government,’’ McConnell said. In exchange for $5.7 billion for Trump’s wall, the legislation would extend temporary protections against deportation to around 700,000 immigrants covered by the Deferred Action for Childhood Arrivals program, or DACA. Trump has tried dismantling the Obama-era program for so-called ‘‘Dreamer’’ immigrants, those who arrived in the U.S. illegally as children, but has been blocked by federal lawsuits. On Tuesday, Trump tweeted that Democrats are playing ‘‘political games’’ and repeated his claims that the wall is a solution to drugs and crime — although the Drug Enforcement Administration says only a small percentage of drugs comes into the country between ports of entry.